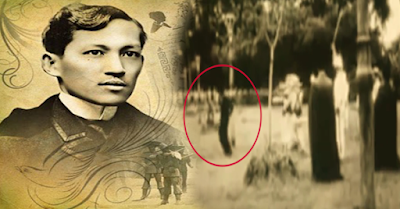 VIRAL VIDEO: Lost Footage of Jose Rizal Execution! José Protasio Rizal Mercado y Alonso Realonda or popularly known as José Rizal was a Filipino nationalist during the tail end of the Spanish colonial period of the Philippines. An ophthalmologist by profession, Jose Rizal became a writer and a main member of the Filipino Propaganda Movement, which advocated political reforms for the colony under Spain. He was executed by the Spanish colonial government for the crime of rebellion after an anti-colonial revolution. Though he was not actively involved in its planning, he ultimately approved of its goals which eventually led to Philippine independence. Bayaning 3rd World is a 1999 Filipino film directed by Mike de Leon that scrutinizes the heroism of Philippine national hero Jose Rizal, particularly on his supposed withdrawal of his writings against the Roman Catholic Church in the Philippines during the Spanish colonization period in the country. The film has been critically praised for its unique illustration of the life of Jose Rizal. Those who viewed the film noted that the film managed to make a difficult subject "accessible, comprehensible and even exciting" and presented itself in a manner that the younger audience could relate to. Check out this video for a sneak peek of the indie film and how they put a twist in the story.